Cheers to another WONDERFUL Tablescape Thursday... and to all the FABULOUS participants via Between Naps on the Porch!!! See you tomorrow for another Fashionable Day! P.S. Paintings are available... just ask! Love the pink poka dot table cover!Beautiful paintings and cheers to a wonderful Thursday! Please paint me into the picture by the bay! :) Beautiful! Hope you have a happy 4th! Beautiful tables you have painted and you know how I LOVE LOVE LOVE Veuve Cliquot! Be right over...is my pink limo waiting at the airport? Champagne and seafood while sitting on a lovely patio. You are the Robin Leach of the blogosphere, only prettier and more talented. Oh my, are those taken from real life?? I am soooo jealous! Beautiful paintings! And I will take some of that wonderful seafood and champagne too! Hi, Fifi..the paintings are great..
Now a perfect Thusday this will be for me! Water, shrimp & champange!!! Perfect, Fifi! 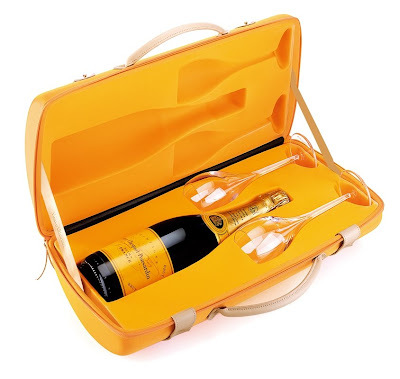 Now I know I shall ask for a Champagne case for one of my Christmas gifts - so chic! Love your paintings as always. Happy long weekend, mon amie! Thanks for coming by Fifi and thank you for the wonderful comment/compliment. The table is so colorful, I agree, it would make a great painting! If only I could paint a tablescape! Beautiful, as always. I so admire you artists! Oh what beautiful tablescapes this Thursday. Would be lovely to dine at either of these two settings. Aaaahhhh....beautiful, Fifi....a nice escape...and a perfect ending for my busy busy day! Love the tablescape paintings, Fifi! 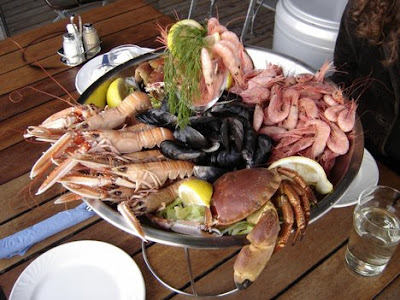 And that seafood ~ YUM! 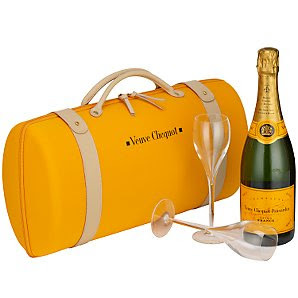 Love the champagne travel pack! I have seen this before and thought it was such a great idea! Very pretty! 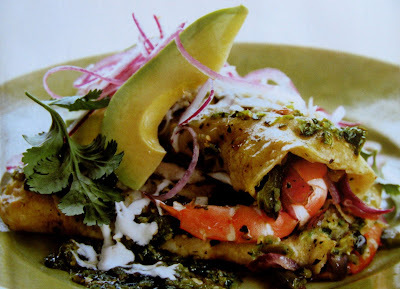 Yummy looking food! I always look forward to your blog. It is so creative. Lovely paintings! I love this veueve case, gorgeous!! have you read the book "The Widow Clicquo"? re. the famous veuve champange. very interesting. I love all your art work. My father is a retired artist from Hallmark. I just loved the piece you did for Rhoda. Once my hubby gets done with school and we get moved and settled-where ever we end up with his new career path-I hope to be able to have a piece done by you. I am having a give away that starts tomorrow.